Gangneung area, which was built in 1936 (936), is the main gate of the temple. The buildings are gone and only three houses remain. It was designated as the 51st national treasure in 1962. The guest house is an article which was installed in each of the Koryo and Chosun dynasties, and is also called 'objective'. Foreign gods of the Goryeo dynasty stayed here and held a banquet. During the Chosun dynasty, the treasures of the palace, which symbolized the king, were laid on the first floor and the palaces of the half-day palace. Respectively. 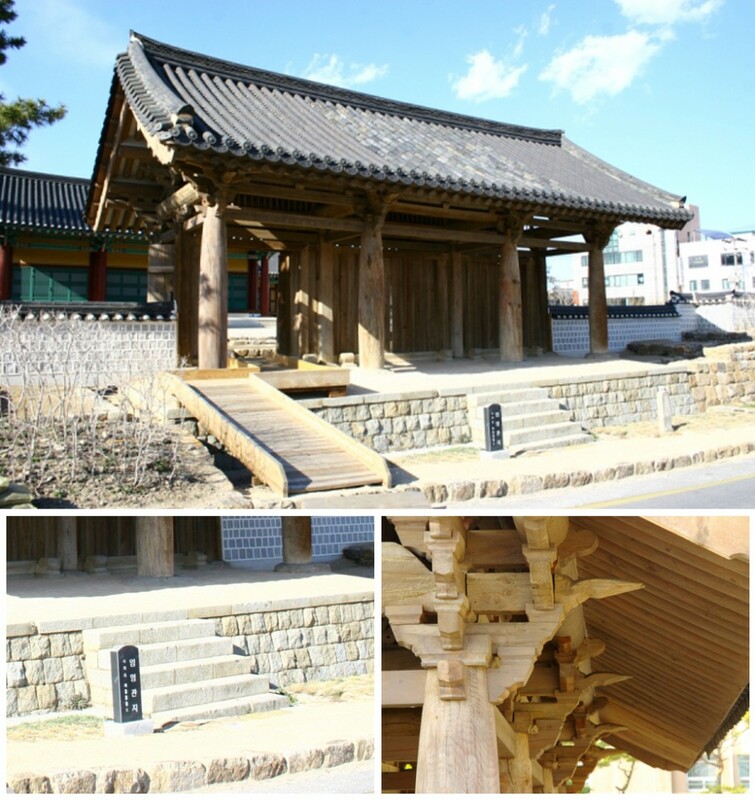 ​In Im Yong-ji, "Gangneung was founded in 1936 as a headquarters building in the 19th year of Goryeo Taejo. It has 9 chambers of Daechong, 12 chambers of Daejeon, 13 chambers of Daegu, 6 chambers of Chungcheong, 31 cubits, and six trimesters on three sides. " Since then, some of them have been preserved through several floods. In 1929, during the Japanese colonial rule, they were used as Gangneung public normal school facilities. In 1967, the Gangneung Police Station entered the station, and now only the guest's door remains. The guest gate is located south of the front door with three compartments and two side panels. The architectural form of the guest house remains important, and has been undergoing repair work for many years. It was completed in June 2004 and was held in April 2004.